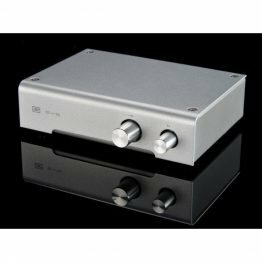 C52 støtter DSD64, DSD128 & DSD256 filer. 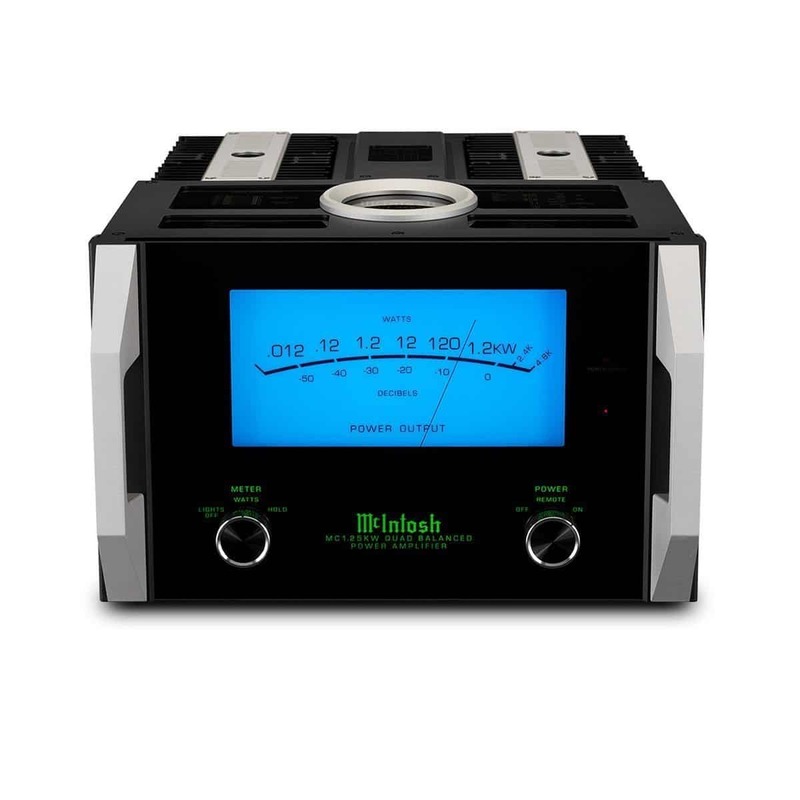 Den har totalt 16 innganger samt XLR og en 8 bånds EQ som gir gode justeringsmuligheter. 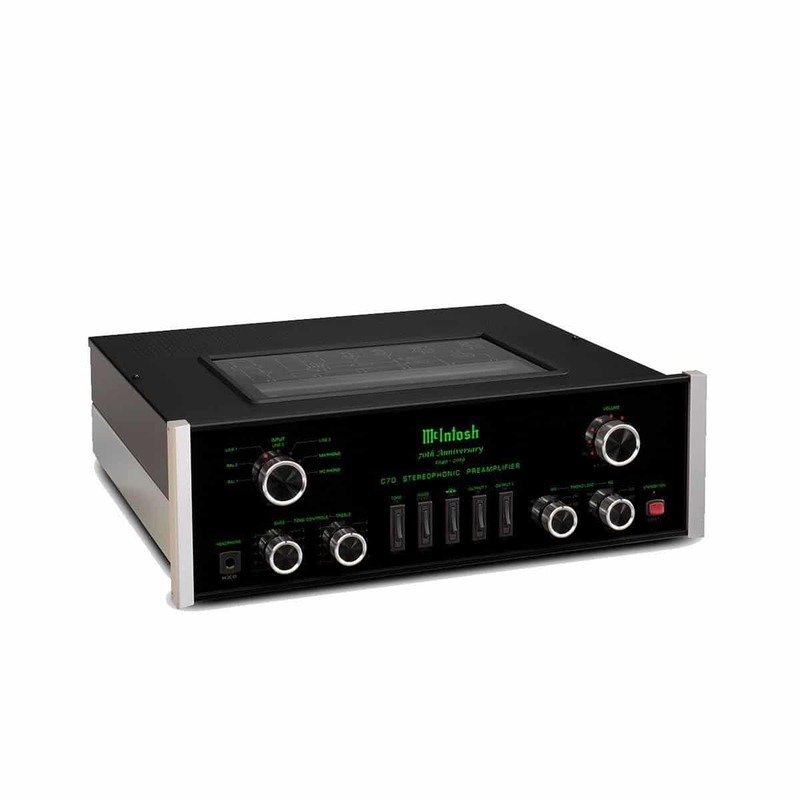 For connecting analog devices, it includes 3 balanced and 4 unbalanced fully assignable inputs plus 1 each of Moving Coil and Moving Magnet phono inputs for connecting a turntable and enjoying your vinyl collection. 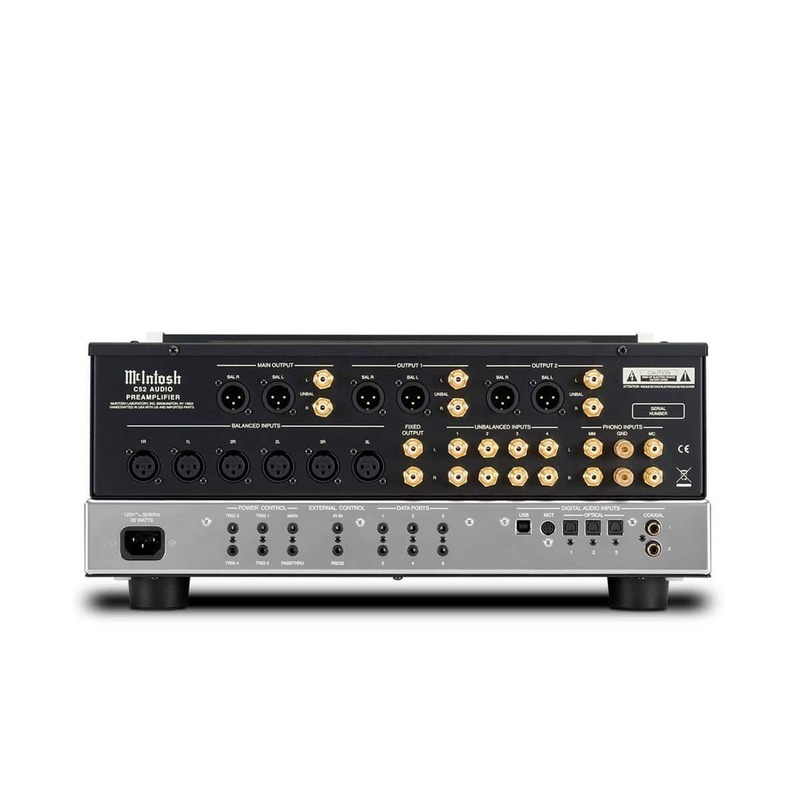 On the digital side, it has 3 optical, 2 coaxial and 1 USB input. 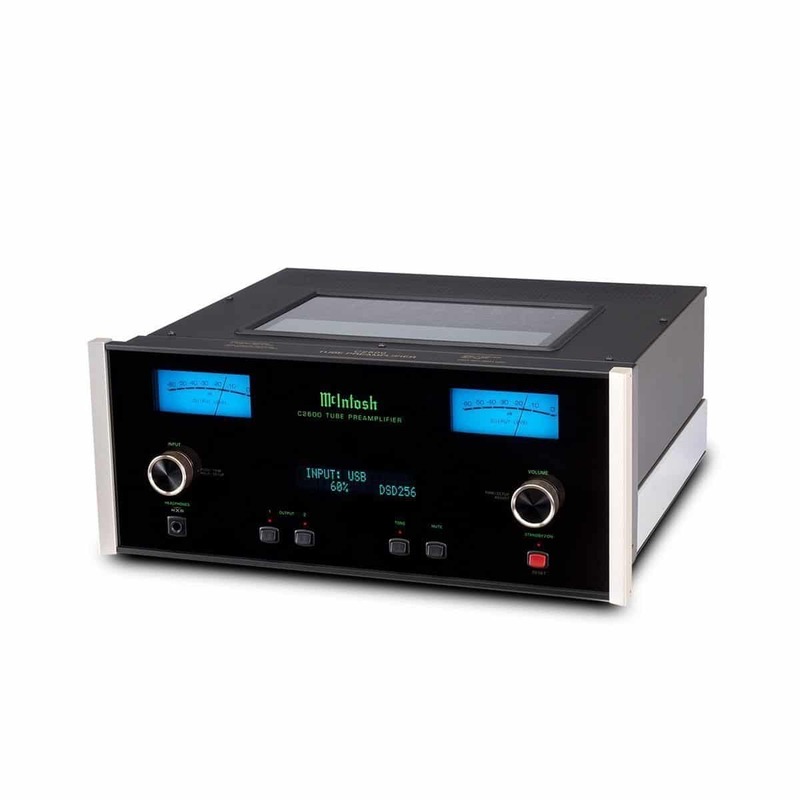 The optical and coax inputs will decode digital music at up to 24-bit/192kHz for high resolution audio playback. 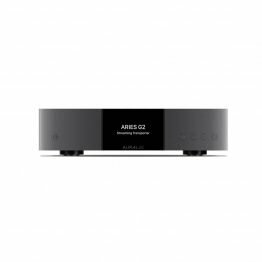 The C52 is also capable of decoding and playing back DSD files for the latest in high fidelity performance; the USB input accepts PCM signals up to 32-bit/384kHz and supports DSD64, DSD128 and DSD256 plus DXD 352.8kHz and DXD 384kHz. 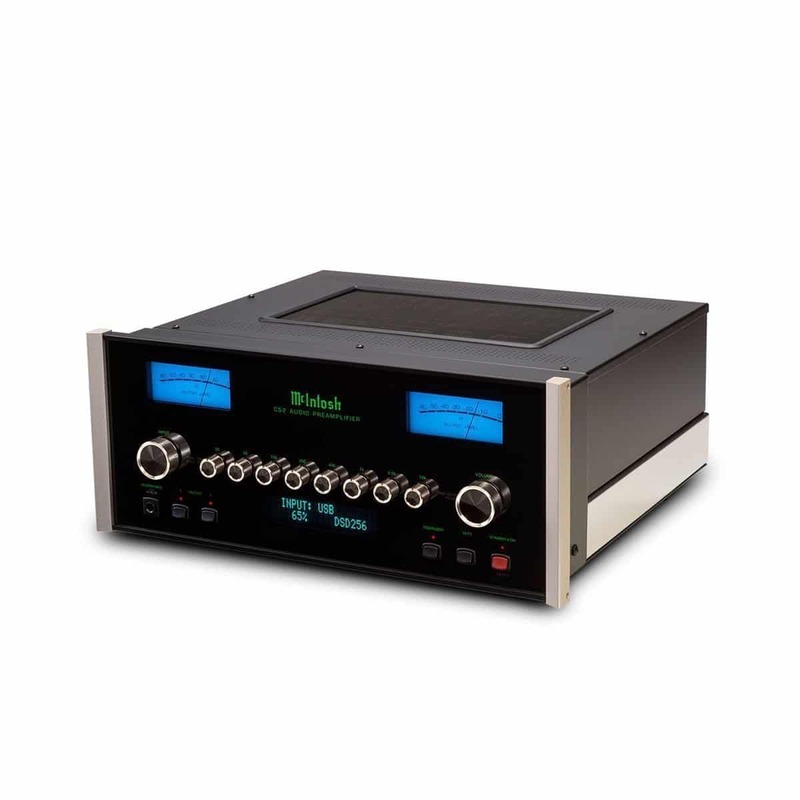 An MCT input offers a secure, custom DSD connection for playback of the high definition audio found on SACDs when paired with the MCT500 SACD/CD Transport to deliver the purest possible sound quality from your CD library. 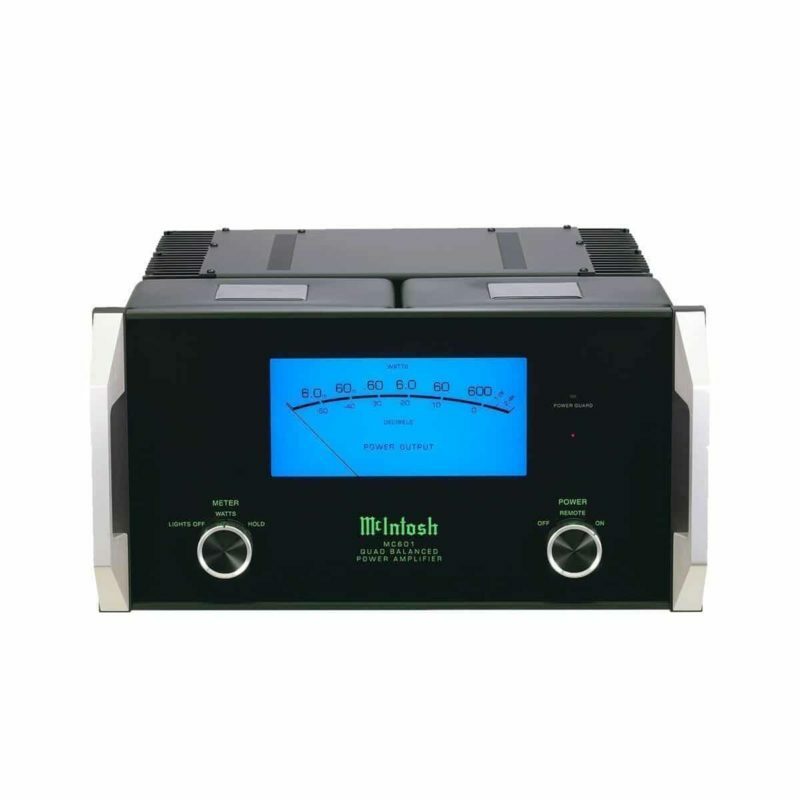 The C52 features a 24-bit/192kHz, DSD digital-to-analog-converter (DAC). 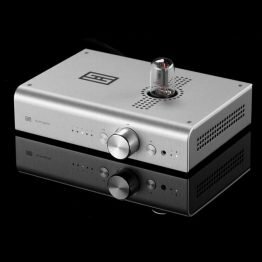 The C52’s classic black glass front panel, blue meters, knobs, illuminated logo and brushed aluminum end caps are all housed in an attractive polished stainless steel chassis that delivers a timeless look. 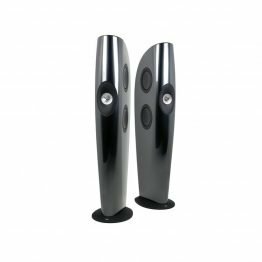 It can be paired with a variety of amplifiers, speakers, room correction devices, CD players, turntables, tuners and other source components to make a complete home audio system.